There have been plenty of rumors swirling around the release of another smartphone by Chinese manufacturer Xiaomi — the Red Rice phone which will be the lowest-priced in its range — and today an advertisement spotted on operator China Mobile’s site has added credibility to the possibility of a phone rollout soon. According to an advertisement on the Guangdong branch website of China Mobile spotted by Sina Tech, the Red Rice phone, which will start being carried first by the operator, will retail at a price of RMB999 ($162.80). Pre-orders will apparently start from July 30. However, when we tried accessing the webpage, all mentions of the Red Rice were gone — which makes it likely that China Mobile has accidentally jumped the gun on this. The device is said to be 9.9mm thick and sport a 4.7 inch 720p screen. It will reportedly be powered by a 1.5GHz MT6589T quad-core processor and run on Version 5 of Xiaomi’s own highly customizable Android-based MIUI firmware. The Red Rice phone will also reportedly come with 1GB of RAM and 4GB worth of extendable memory and feature an 8-megapixel rear camera as well as a 1.3-megapixel front-facing camera, a 2000 mAh battery, and dual SIM function. All smartphones imported to China must be certified to use wireless networks, and yesterday another Chinese media outlet reported that the phone has been found on radio communication device regulator TENAA’s website – the image can be seen below. 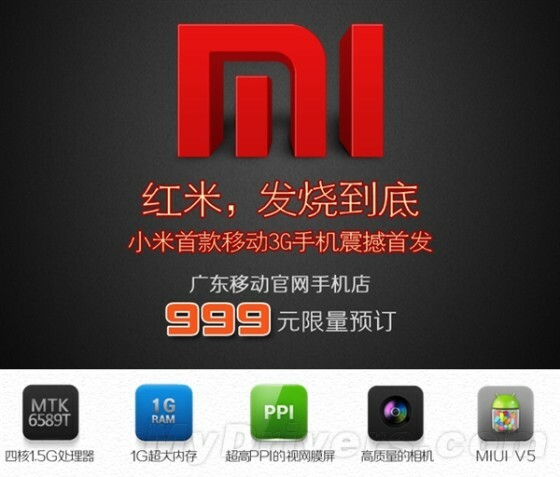 Xiaomi has been garnering success in mainland China by inspiring the loyalty of many consumers. Its competitively priced phones are sold in batches that, when released in phases, regularly sell out fast, often within half an hour. 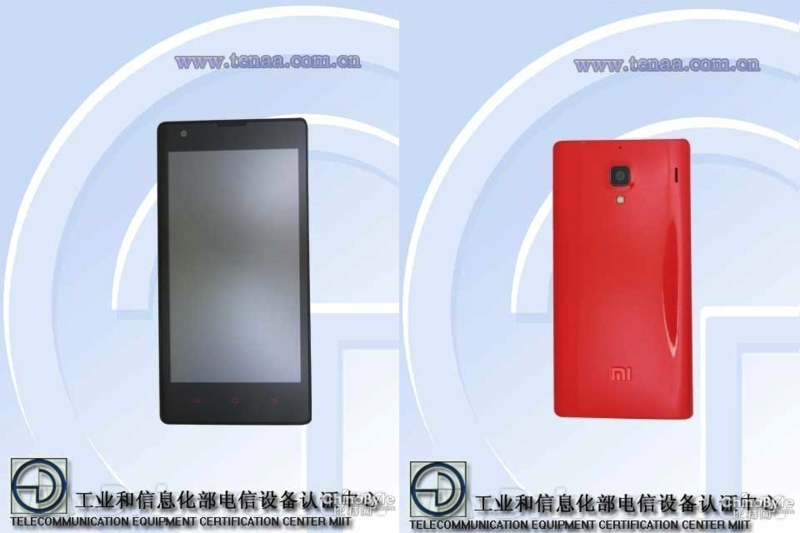 The last phones it launched were the Xiaomi Mi-2S and the Xiaomi Mi-2A in April this year, following last year’s launch of the popular Xiaomi Mi2 phone. The handset maker booked RMB13.27 billion ($2.15 billion) in revenue for the first six months of this year, exceeding the amount it recorded for the whole of last year, which stood at RMB12.6 billion. The 7.03 million devices sold in the first six months this year was also just shy of the 7.19 million units that Xiaomi sold during the whole of 2012.